I zoomed across a review copy as fast as I could. ‘A great book for parents, GPs, schools and psychologists working with young children. 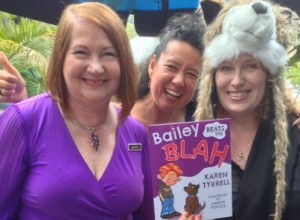 Karen Tyrrell (ME) uses the word “Blah” a word to use, when you can’t describe the yucky feeling. 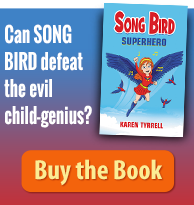 ‘ This book is a simple and short way to help parents and their offspring communicate emotional distress. ‘Topics presented are a great way as an “in” to discuss mental health issues with young people. Children aren’t great at describing what’s wrong. 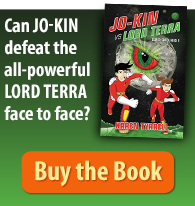 They often point to the same problems listed in the book – like tummy pains. When there is no word for them to describe this yucky feeling they have, the lack of energy of joy, “blah” is a great alternative. ‘Does a great job of pinpointing what mood disturbance in young children look like. Print book retails for $13.45 USA on Amazon or $3.99 on Kindle (Christmas sale!). Its aligned with Kids Matter national education program. 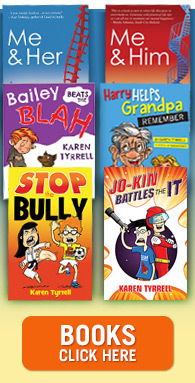 5% sales go to Kids Help Line. 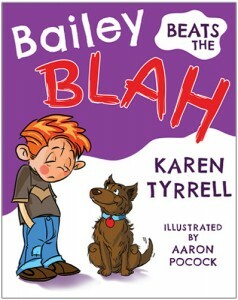 What did you think of Bailey Beats the Blah psychology review? How can Bailey HELP children at home, school and in the family?